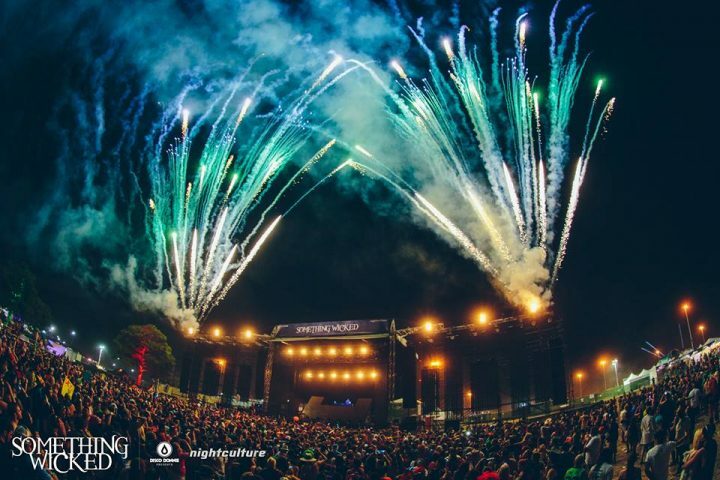 Something Wicked organizers today revealed the full lineup of artists on board to perform at this year’s Halloween-themed festival, set for Oct. 29 and 30 at the Sam Houston Race Park in Houston, Tex. Topping the list are Diplo, Hardwell, Deorro, Carnage, and Excision. Others include 3LAU, Andrew Bayer, Arty, A-Trak, Audien, Autograf, Borgeous, Gareth Emery, Goldroom, Herobust, Jauz, Keys N Krates, Louis the Child, Marshmello, Nghtmre, Seven Lions, Slander, Yellow Claw, Zomboy, and more (see full graphic below). 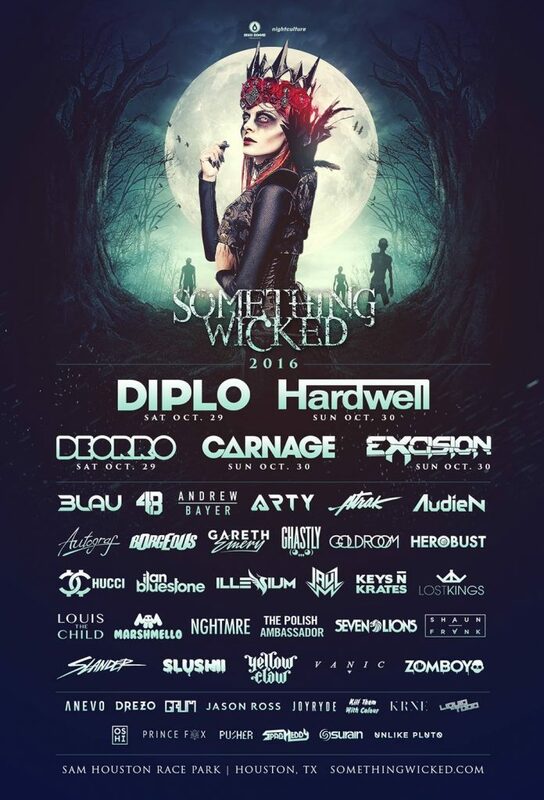 Something Wicked tickets are on sale now, priced at $129 for a two-day pass. The festival is open at ages 18+ and is produced by Night Culture and Disco Donnie Presents.